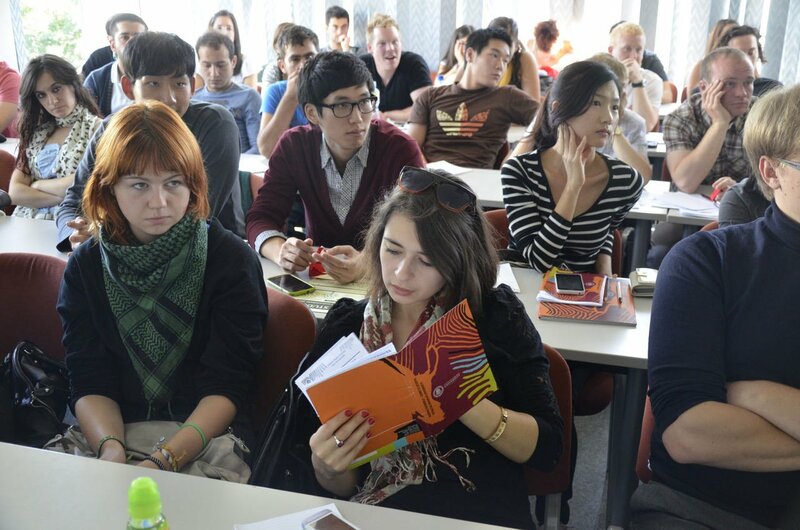 The Education Exchanges Support Foundation has announced call for applications for Lithuanian state scholarships during the 2013/2014 academic year. Students, lecturers and researchers from abroad may apply. VMU is accepting applications for scholarships for Lithuanian (Baltic) studies and the Lithuanian Language and Culture Summer Courses. The deadline is 1 April. The Lithuanian state scholarships are offered for students, lecturers and researchers of higher education and research institutions in the following countries: Armenia, Austria, Bulgaria, Belarus, Croatia, Finland, Greece, Georgia, India, Kazakhstan, Montenegro, Mongolia, Romania, Russia, Philippines, Serbia, Slovenia, Spain, Sweden, Ukraine, United States of America, United Kingdom and Uzbekistan. Scholarships for short-term Lithuanian (Baltic) studies. Duration of studies: one (up to 5 months) or two (up to 10 months) semesters per person. The overall quota of 70 months is offered for the candidates from the countries mentioned above. Scholarships for the Lithuanian Language and Culture Summer Courses. 40 grants are offered for the candidates from the countries mentioned above. The scholarships are not intended for full-time degree studies. Normally, an academic degree or diploma cannot be obtained during the period covered by the scholarship. Studies must take place from September 2013 to June/July 2014. The autumn semester in higher education and research institutions of Lithuania normally takes place from September until January and the spring semester goes on from February until June. The candidate has to be a student (not in the final year), lecturer or researcher of higher education and research institution in a country listed in the second paragraph above. Candidates for Lithuanian (Baltic) studies scholarship must have an official letter of acceptance issued by the host higher education and research institution in Lithuania. Candidates applying for Lithuanian (Baltic) study scholarships are required to accumulate 30 ECTS per one semester in their respective fields, and also must fulfil other requirements for Lithuanian (Baltic) studies. Lithuanian state scholarships cannot be coupled with other grants or scholarships. More information on required documents and deadlines is available in the attached document. Information on other Lithuanian state scholarships is available on the website of the Education Exchanges Support Foundation.